Breakfast has always been called “the most important meal of the day” and for good reason. There is a mountain of scientific evidence pointing to the benefits of a good morning meal. When you start your day out with a good, healthy breakfast research shows that you are providing your body with much needed energy. 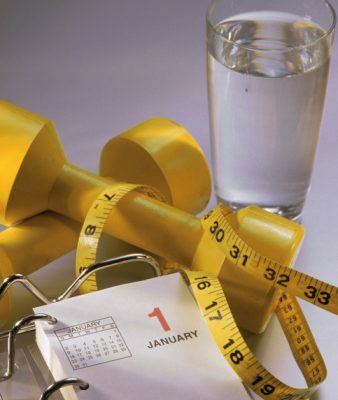 Your metabolism will begin working early in the day; burning calories. You won’t be hungry until midday, at which time you can enjoy your lunch. Breakfast can also make a big difference to your over-all health. Studies show that people who eat a healthy breakfast on a regular basis have fewer problems with weight gain, and according to the American Institute for Cancer Research, combined with exercise, a healthy breakfast can lower your risk of cancer. To reap the benefits of eating breakfast; it has to be the right types of food, not junk food. Pastries, cinnamon rolls, and tater tots are considered junk food. Diets with junk food can give you a quick energy boost, but the energy level quickly plummets forcing you to seek more food. Junk food is associated with saturated fat, high sugar levels and lots of sodium; not to mention weight gain. A healthy breakfast consists of fruits and vegetables, low-fat dairy products, low-fat protein, and whole grains. Below is a list of benefits associated with a diet that includes a good breakfast on a regular basis. There are many options when it comes to preparing a healthy breakfast. Some of the best breakfast ideas are packed with nutrients and minerals that we need to maintain energy and good health. For instance, it is easier than some people think to include fruits and vegetables in a breakfast meal. Have you ever considered a vegetable omelet, quiche or frittata with some fruit on the side or perhaps a fruit smoothie to go along with it? Some of the best breakfast ideas are not only healthy, they taste delicious too. For example, you can have a bowl of cereal, oatmeal or low-fat yogurt and jazz it up with bananas, strawberries or blueberries. Whole grains can include hot, fresh bagels and low- fat muffins. Dairy is everything from natural cheeses to tasty low-fat yogurts. Proteins can be lean meat, poultry and even peanut butter. Whole grain bagel topped with ½ cup of 1% cottage cheese, broiled to point it is crispy, then topped with berries. Many of us have busy schedules so it is easy to fall prey to the quick breakfast; grabbing a coffee and donut. To avoid this, make sure you stock your kitchen with healthy ingredients such as whole wheat breads, oat meal, wheat germ, nuts, and fruits and vegetables. Always having the right items on hand will make it a lot easier. For those who tend to skip breakfast all together, consider these…studies indicate that skipping the morning meal leads to unhealthy habits all day long. One scientific report has concluded that breakfast skippers consume 40 per cent more sweets than those who do eat breakfast.